Handling the most common dental emergencies. A dental emergency can affect your teeth, gums or mouth at any time, no matter how healthy or careful you are. Fortunately, your Joondalup family dentist can easily fix most of these issues. When you can’t get professional help straight away, follow our tips on how to handle the most common problems. A minor chip on the tooth is very common and doesn’t usually require emergency attention. These chips will usually occur while eating and should be followed up with a dental appointment to assess the condition of your teeth and gums. For a more serious fracture, begin by rinsing the mouth with warm water to clean the area. Treat any pain or swelling with a cold compress and an anti-inflammatory painkiller such as ibuprofen and contact your dentist as soon as possible. Losing a filling can be painful but it does not usually require emergency care. If you still have the displaced crown, you may be able to slip it back into position. To do this, start by washing the inside and then use a tooth cement or denture adhesive to hold the crown in place until you can see your dentist. You can also use dental cement to temporarily replace a lost filling, as it’s important to protect the sensitive interior of your tooth. 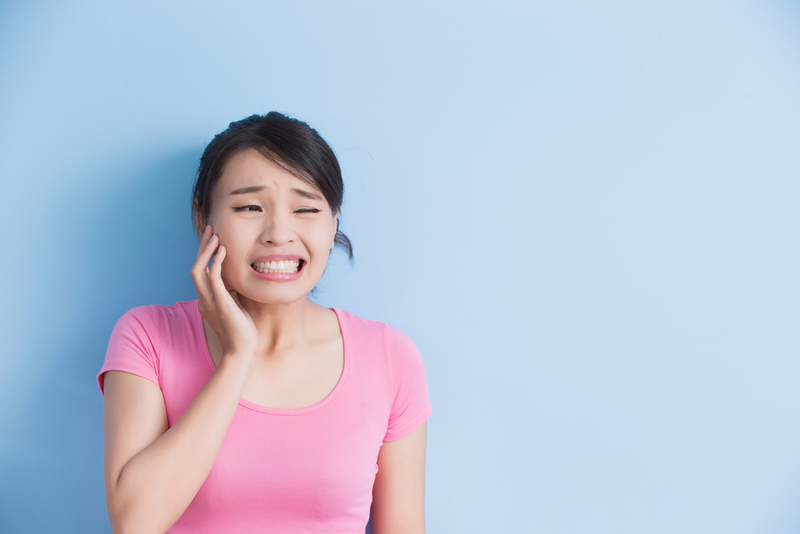 In the case of a knocked-out adult tooth, immediate treatment can make a huge difference to the chances of it being preserved, so contact a Joondalup emergency dentist. Rinse the tooth with water and keep it moist at all times, handling it carefully and avoiding touching the root. If you can place the tooth back in its socket, then gently hold it in place with a clean cloth or gauze, but if this isn’t possible then keep it safe in a glass of milk. The first sign of an oral infection is usually pain, often accompanied by redness or swelling of the gums. Keeping up your regular brushing and flossing should get rid of mild gingivitis or gum disease, and you can boost this by using an antibacterial mouthwash or rinsing with salt water. If symptoms persist, consult your dentist. If left ignored, a minor case of gingivitis can lead to serious periodontitis, so it’s important to address persistent problems. For emergency care or to book an appointment with your local Joondalup dentist, call Anchorage Dental now on (08) 9407 7888 or visit our contact Blog for more information.